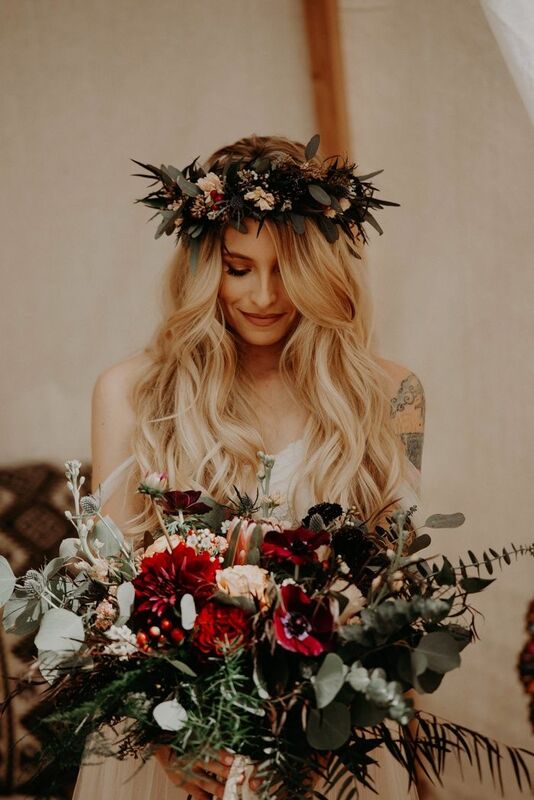 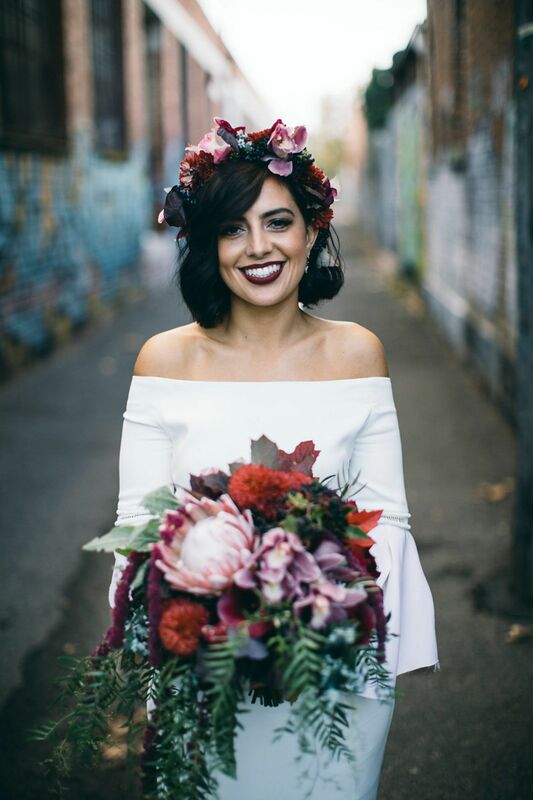 Berries and burgundy blooms for a flower crown that blends with the hairdo. 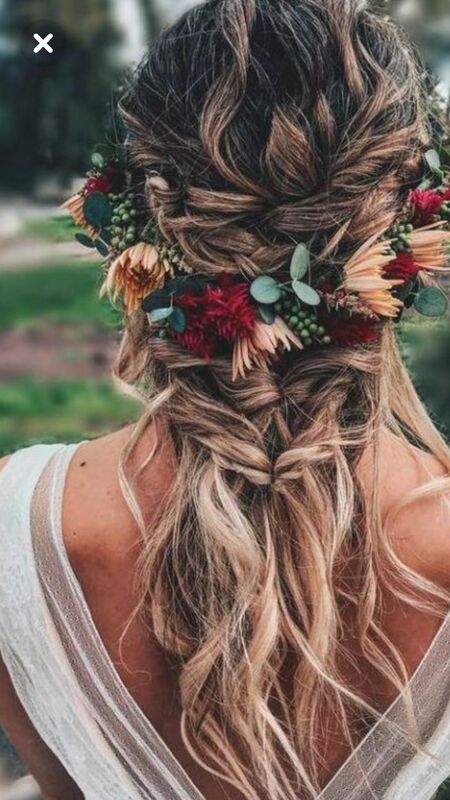 Long hair idea. 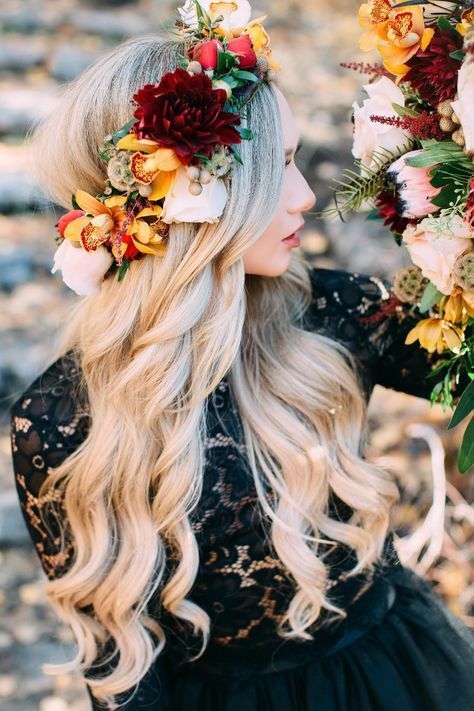 Loose curls paired with flower crown. 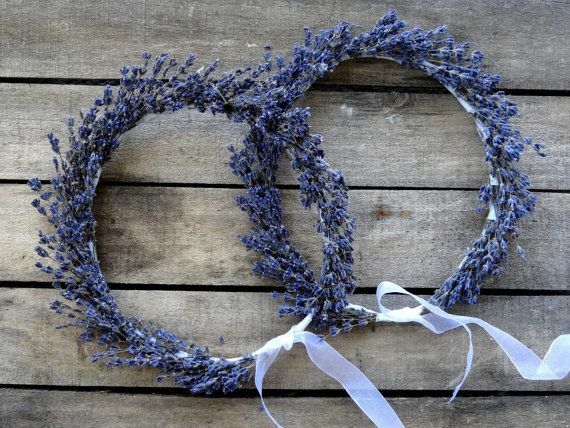 Dried Lavender Bridal Flower Crown Handmade of Dried Hidecote Lavender. 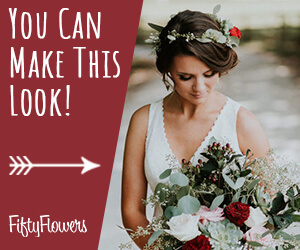 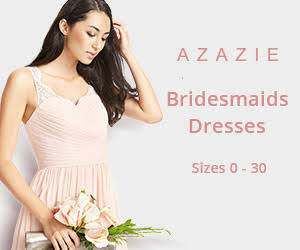 Perfect for a Natural or Country Wedding or Special Gift! 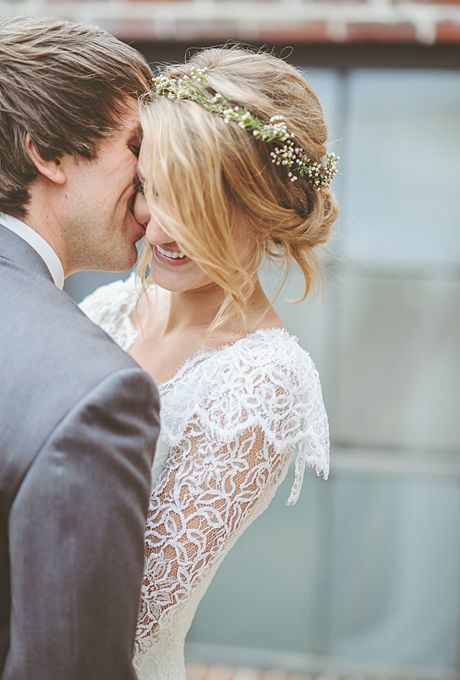 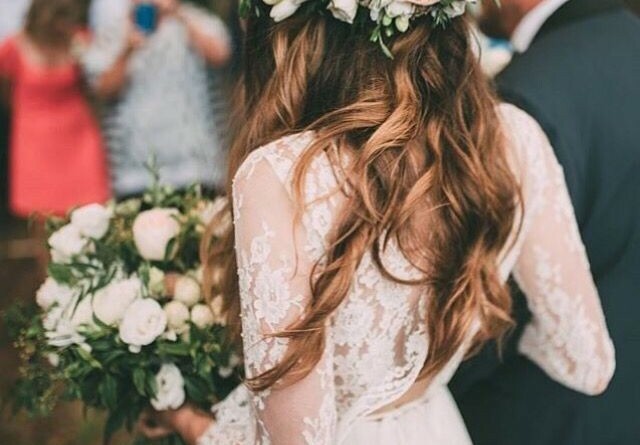 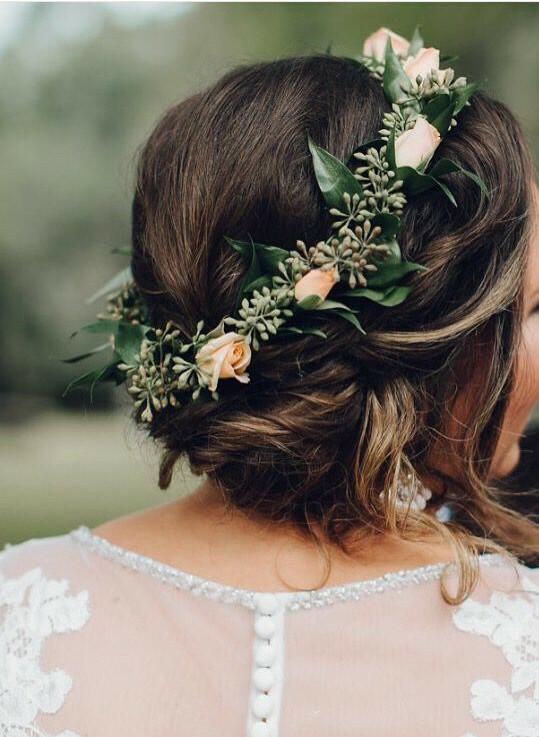 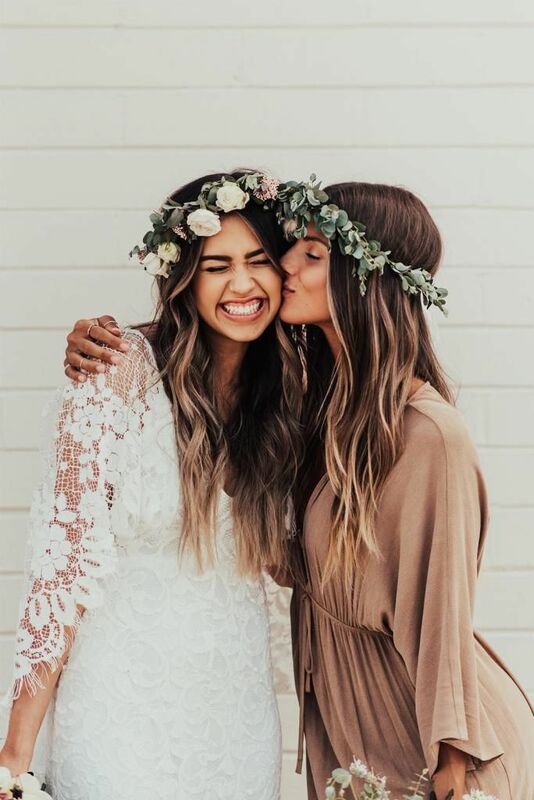 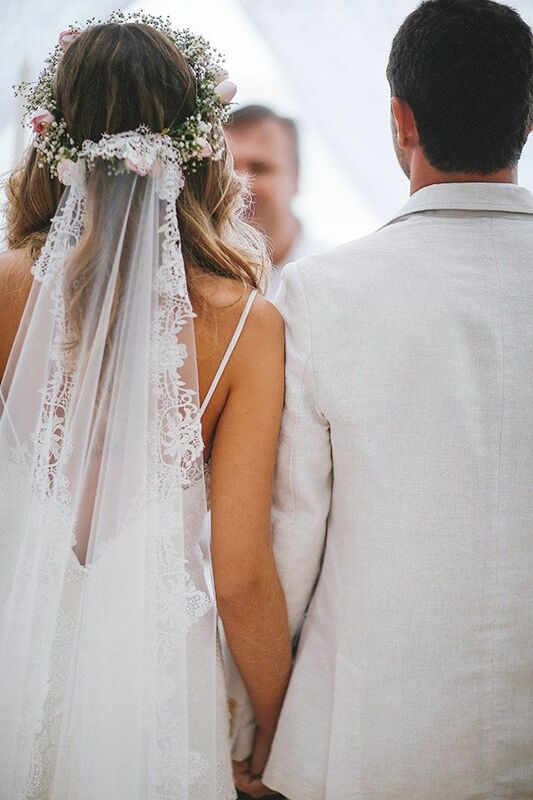 Milkmaid braids are always a win for boho brides. 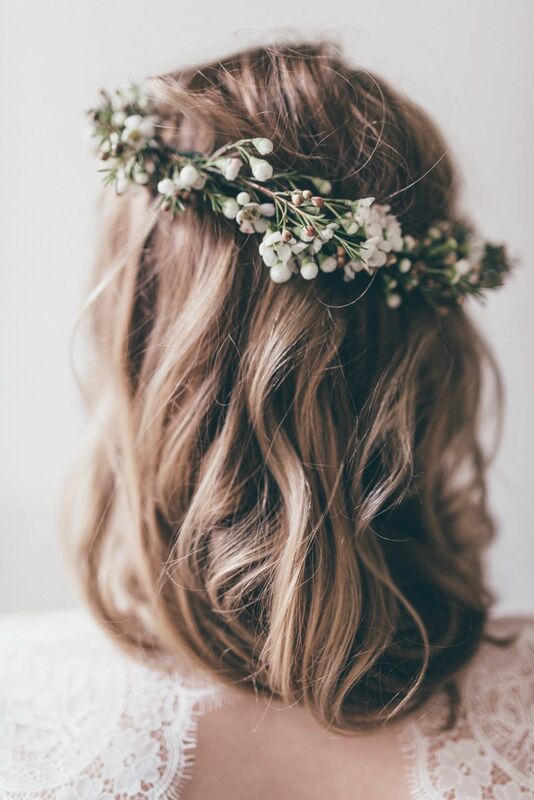 This flower crown hairstyle would look gorgeous in any forest wedding..
Spring Summer Wedding Bridal Fascinator. 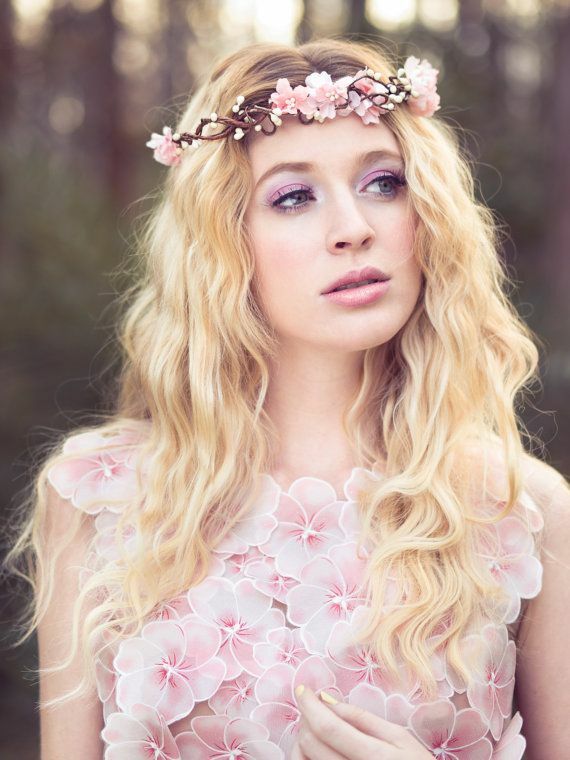 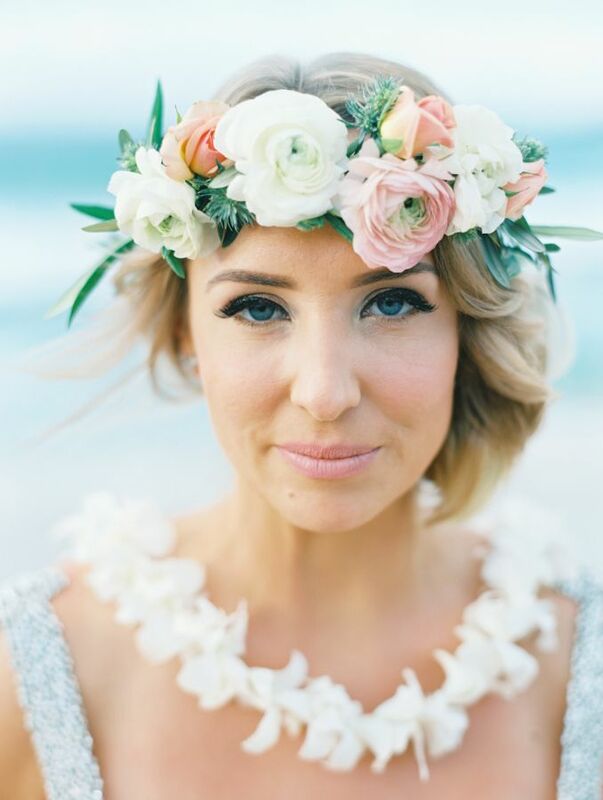 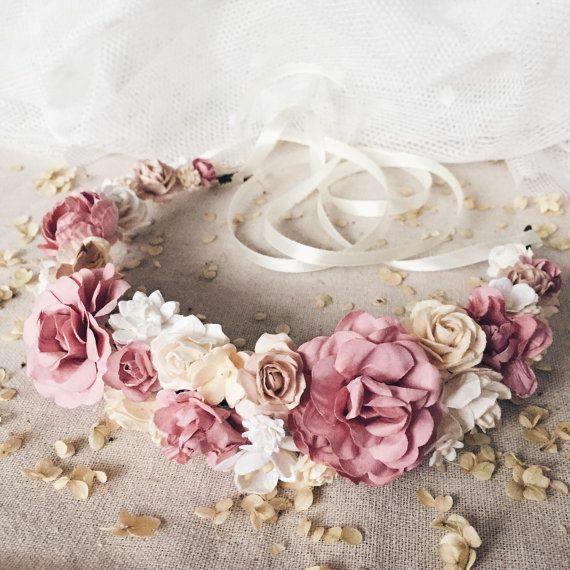 Floral headpiece in pink blue green gold, flowers seeds, and leaves buds. 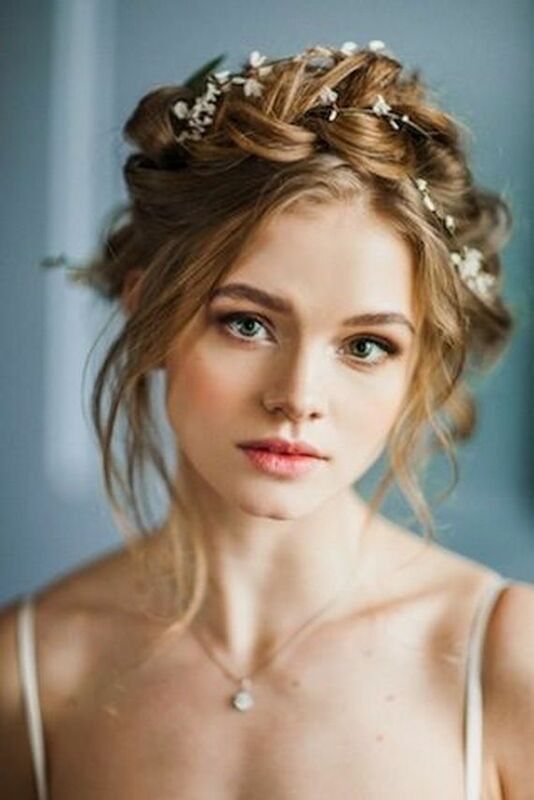 Christmas Wedding Bridal Fascinator. 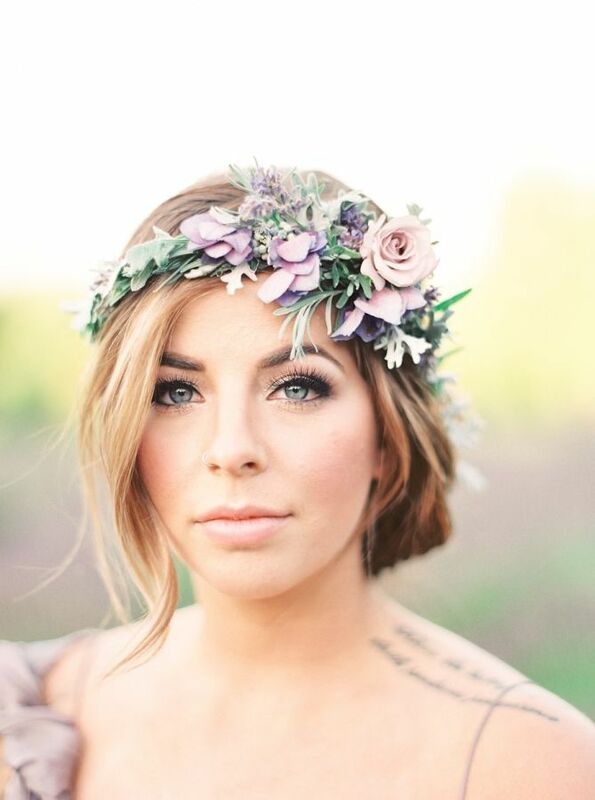 Floral headpiece in burgundy cream roses, hydrangea seeds, and silver metallic leaves buds.